As regular readers will know, I am a Leica owner. I shoot an M9 now, have an M240 on seemingly endless backorder and my first Leica was an M4-P with motor winder and 35mm f/2.0 lens. I still miss the M4-P even though the only film I shoot these days is in my Sinar P. There has been a LOT of noise about this new Leica that has been referred to as the Mini M. But that's not right. 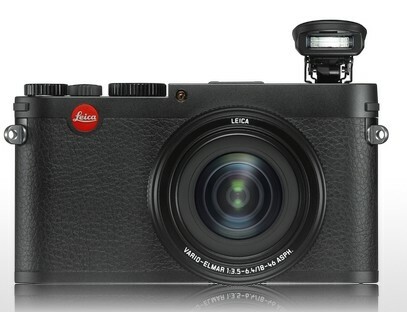 It's an X, but Leica refers to it as the Mini M. Confused yet? Anyway about the X Vario. Off the top, it is an X series camera, so that means autofocus, non-interchangeable lens on with a larger sensor than a traditional Point and Shoot. Internally known as the Type 107 it is a CMOS APS-C sensor based device capturing 16.2 megapixels. Captures can be RAW in the open source DNG format or Leica's 4 JPEG resolutions. The lens is a Leica Vario-Elmar 18-46mm f/3.5-6.4 ASPH. This translates to about a 28-79 in the full frame world and it incorporates 2 aspherical elements. That will mean great sharpness and resolution but not exactly buckets of lens speed. It may not be an issue as Leica has gone with newer CMOS sensors with superior low light capability instead of their older CCD sensors that had the Leica "look" but fell apart badly above ISO 800. ISO range on the new camera is ISO 100 to ISO 12500, so that should have you covered. The camera will shoot HD video at 1920x1080 and 1280x720 both at 30fps. So high quality but not much in the way of framerate flexibility. Video is stored in the higher performance MPEG-4 format. Still shooting modes are Program, Aperture preferred, Shutter preferred and Manual. Bracketing is built in over a three shot range and EV increments start at 1/3 stop to a maximum of ±3 EV. Shutter speed range is from 30s to 1/2000s. White balance features the usual suspects of Automatic, Daylight, Cloud, Shade, Flash and Halogen, which I presume is what the rest of us think of as Tungsten. There are also two user configurable WB settings, manual WB and fine adjustment controls. In addition to single shot there are two burst modes, at 3fps and 5fps respectively with a buffer capable of handling 7 burst shots in DNG+JPEG fine. As one would expect there is a popup flash unit, and as one would expect it has a Guide Number of 5 so it's not very powerful. It does allow for lots of controls though including Auto, RedEye reduction, always on, always off, slow sync (dragging the shutter) and slow sync with redeye reduction. Since it's on camera and on axis, it's going to look like the flash from any point and shoot. What is nice to see is that there is a REAL hotshoe on the camera so you could go with a Leica shoe mount flash that bounces if you need one. That Leica flash is TTL and looks suspiciously like a Metz (cannot imagine why that might be :D). And, it's expensive. So what does this lovely bit of kit set one back? Well it is an X so presumably it is not restricted access as are M and S series cameras. According to the web B&H has the camera for $2,850 USD with availability around June 18th. No pricing at Vistek for Canadians at time of writing but figure it will be close to that. If you want to preorder, please consider buying through the link to B&H posted below. I don't know if I will get a hands-on test option with this critter. It's about $800 more than the X2. Where it is interesting is that it is priced right in line with the Sony RX-1. I have shot the RX-1 and while opinions vary, I really did not like the handling. The images were excellent, but the fit in my hands is very awkward. Will the Leica be better? Don't know but if you are the person set to drop three grand on a top end point and shoot, you would be well served to check out the Leica X Vario.